You must be wondering who these people are and why are they complaining so much. Well, these are few responses from job seekers who are not happy about the recruitment process of a company where they appeared for an interview. Such responses are often received when recruiters don’t pay attention on Candidate Experience. No matter whether you hire the job applicant or not, treating them well and giving them a positive experience is something that each recruiter and hiring manager must do. Candidate Experience has become a buzzword in today’s recruiting landscape. The way you treat candidates says a lot about the company, its reputation and the recruitment process. 83% of job seekers say, a negative interview experience can change their mind about a role or company they once liked, while 87% of talent say that a positive interview experience can change their mind about a role or company they once doubted. A company’s ability to successfully attract, hire and retain top talent entirely depends upon the thoughtful approach to manage their hiring process. Here are few suggestions that can be used to improve candidate experience. 60% of job seekers have quit an application process in the middle due to its length or complexity. A lengthy and complex application process can be a turnoff for candidates. They may lose the enthusiasm to work at an organization that makes them wait long to hear back about a job. Anyway, top candidates have countless opportunities. Either they won’t wait for long to hear back from the recruiter or they lose interest in the opportunity. Make the job application process quick, painless and ensure that the job seekers hear frequently from you. 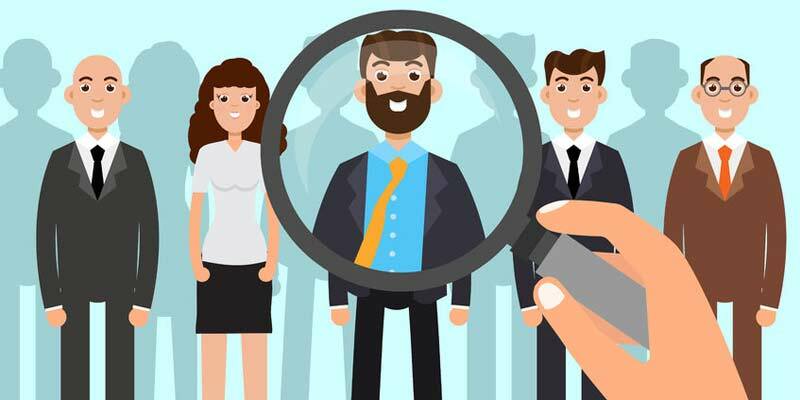 64% candidates claim that job descriptions provided by companies aren’t clear while 72% of hiring managers say they provide well-defined descriptions. Isn’t this contradictory? Both perceive job descriptions differently, and that’s the main reason for discrepancy in their thought. A candidate may want to understand the job role while a recruiter may feel important to mention the skills required to fill the vacant position. Recruiters are suggested to create job descriptions in a manner that can easily be understood by the candidates and makes the job role clear for them. 80% of applicants admit that they would be discouraged to consider other relevant job openings at a company that failed to notify them of their application status. Yet, they would be 3.5 times more likely to re-apply to a company if they were notified. Quite often candidates are made to wait for recruiter’s response after the submission of their job application. In some cases, this wait becomes endless. Uncertainty in the hiring process leads to poor candidate experience. Even if a candidate isn’t the right person you’re looking for, don’t hesitate by giving feedback or telling about rejection of their profile. Keeping in touch is the key solution to this problem. Communicate with the candidates and let them know the actual status on their application, at every step. Majority of job seekers read at least 6 reviews before forming an opinion of a company. As most of the candidates go through online reviews before appearing for an interview, make sure the candidates give good ratings to your company on online job portals. When a job seeker receives poor experience at an organization, they are more likely to share the same with their friends and family, and some of them even post reviews on online portals. Poor ratings by candidates can be damaging for a company’s reputation. Make extra effort to keep them happy, informed and leave a positive impact. We all know that hiring process is stressful both for the recruiter as well as the job seeker. But, by providing a positive experience, you can expect more respect and commitment from the candidates and far more chances that they recommend other talent to your organization. Build employer brand by improving the recruitment process and providing a good candidate experience.